Score your gameplan now if you are tackling the 2019 NFL season. A visit to Arlington would not be complete without watching a game at AT&T Stadium, home of the Dallas Cowboys. Also known as Cowboys Stadium, it&apos;s a world-class athletic structure providing the ultimate once-in-a-lifetime experience, whether you’re watching a Cowboys game, tailgating before the game, or rocking out to your favorite band. 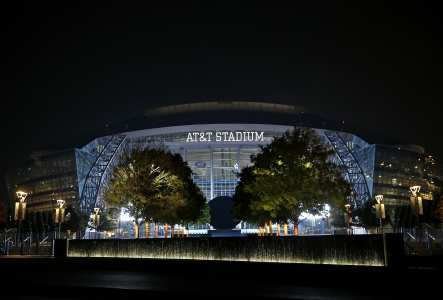 AT&T Stadium is one of the most expensive sports venues ever built. Final construction costs totaled about $1.2 billion, and everywhere you turn, you will notice the level of detail and luxury that went into creating this world-class stadium. As soon as you walk in, you will be greeted by two 300-foot steel arches spanning the length of the stadium dome. No matter where you are, you will be able to watch the game on one of the 3,000 LCD displays, including the luxury suites, concourses, and concession areas. Once in the stadium, you will not miss any of the gridiron action. AT&T Stadium is home to one of the largest 1080p HD video display boards in the world. Weighing 1.2 million pounds and containing 25,000 square feet of video displays, you will be in awe as you watch each play and touchdown—or every dance move and guitar solo if you’re here for one of the many stadium-worthy acts that play here, like Jay-Z and Beyoncé, U2, and The Rolling Stones to name a few. Watching a Dallas Cowboys game at AT&T Stadium is definitely a bucket list item, but did you know you can also take tours of the stadium? Several different tours are offered so fans can get a pure behind-the-scenes experience. The knowledgeable Tour Ambassadors will answer questions and provide you with detailed information about the most popular areas of the stadium. You will get to visit the post-game interview room, the Miller Lite Club, the locker rooms for the Dallas Cowboys and Dallas Cowboy Cheerleaders, and of course, the field. The VIP Guided Tour gives you access to all of the stops on the Self-Guided Tour and much more. You will visit a private suite, the print media press box, the Cotton Bowl Office vestibule, the Dr. Pepper Star Bar, and the Ford Motor Company Fountain. You may not know this, but AT&T Stadium is also home to several pieces of incredible artwork. The Art Tour at AT&T Stadium is one of a kind as it allows guests to see a different side of the stadium and the Dallas Cowboys organization. The artwork is located throughout the stadium, including the Main Concourse and club locations. What’s a football game without tailgating? Gather your friends and family at AT&T Stadium to eat, drink, and get revved up for the big game. Tailgating is the perfect chance to have some major pre-game fun; so fire up the grill, grab a beer, and kick back while you prepare to cheer your team on to victory. Check out the tailgating packages offered by Stadium Parking for parking spaces with everything you need to host friends and family. Stadium Parking works with partners to provide services ranging from catering and food packages to rental items like tents, fully equipped trailers, and grills. These tailgating specialists ensure you’ll have all the necessary supplies to entertain in style. If you’ve nabbed tickets to a game or a concert at AT&T Stadium, you can let someone else deal with the driving and parking. By choosing to stay as a registered guest at one of several Arlington hotels, you will have the opportunity to take advantage of the AT&T Stadium Trolley Service. Service is quick and convenient, leaving you with one less thing to worry about. Whether it’s football season or you’re just stopping by for a tour, make a visit to AT&T Stadium part of your visit to Arlington and you will not be disappointed. Arlington's sports bars and pubs will help you score high fives, cold suds and yummy grub no matter which sport you prefer. 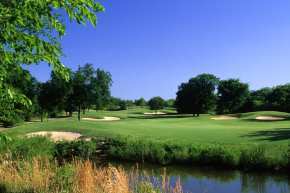 If you are a sports fan, a golfer or an outdoor enthusiast, you'll find a wealth of opportunities in Arlington.